Set for designing an office worker character. 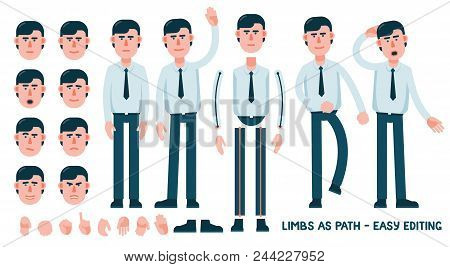 The limbs are saved as path for easy editing and adjusting the posture. Set of facial emotions. Examples of poses - greeting, walking, puzzling.